For decades a coward silence has been the endemic cancer penetrating almost the whole western media when talking about the misdemeanours of the Israeli establishment. Therefore Israel has been turned into a little nation and its people has been tied to misinformation and egoism. Lebanese strike is the last show. 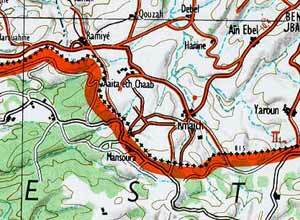 On July 12, 2006, Israeli soldiers entered the Lebanon border and were captured in the Lebanese town of Ayta ash-Shab by Hezbollah militias that keep control of that land in Southern Lebanon (Bahrain News, Asia Times). Israel deliberately lies or let the world and the Westerners understand that the soldiers have been kidnapped in Israeli owned land. That’s it, then it’s hell. IDF bombs Lebanon while in Europe some say they are indignate (but they keep silent) and some talk of self defense (and they had better keep silent). After having believed as true, for years, world spread Israeli propaganda, such as the Western world trusted Barak’s unabashed lies (making impossible for his people and neighbours to reach a deal with Syria and killing Camp David and Taba talks), Western nations let US backed Israel blackmail the Middle East with another humanitarian catastrophe. Hundreds of dead and wounded, hundreds of thousands refugees must weigh over the coward Europe’s conscience, as there is no chance they weighed over the arrogance of the Israeli Military and Government or the dishonest US establishment. But something is moving. Protectors and protegees, in spite of the propaganda that has been spread for decades all over the world by hired information killers, are no longer able to keep people unaware of the facts.